Thank you for supporting British Baker and taking the time to complete this short survey. Your feedback is incredibly valuable. All answers will remain anonymous. 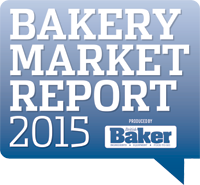 At British Baker we are trying to build a comprehensive picture of trade in the retail bakery market in 2014. The survey should only take 5 minutes to complete and you will be contributing to the industry that you love.